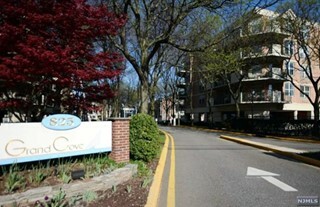 Grand Cove is a private, gated community located in the heart of Edgewater right on The Hudson River. It is comprised of two 5-story condominium buildings sitting on the western side of the property and 51 townhomes situated closer to The Hudson River. The complex maintains a public walkway on the river side of the walkway where the complex owns its Community Room with a full catering kitchen. Built in the early 1980’s, there are 104 graciously sized condominium apartments and 51 waterfront 2 and 3-bedroom townhomes. They each have their own Homeowner's Association, but are tied together by a Master Board that is responsible for the entire common elements (including the amenities and exterior common areas (e.g.., roadways). Grand Cove has an outdoor pool and club house/community room for the use of all residents. However, the condo buildings each have their own gym/exercise room. The community is directly adjacent EdgewaterTown Center, that includes Whole Foods, Duane Reade and other shops. Directly across the street as the brand new Jersey City sensation: Brownstone Diner and Pancake Factory. The place is packed, so go early. Just to its south is the Binghamton Mall that includes the Binghamton Racquet Club, Trader Joes, and numerous other shops, restaurants and stores. 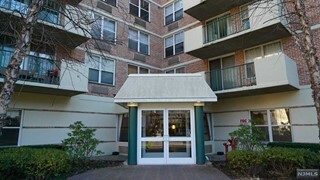 It is in close proximity of all the other shopping, restaurants and services of Edgewater. It is also in walking distance to the Edgewater Ferry and Marina along The Hudson River Walkway. Condominiums range in size from 850 to approximately 1,450 square feet. Each 1 or 2-bedroom condo is very spacious and has a private terrace. The 1-bedroom residences each have 1 ½ bathrooms and the 2-bedroom units have 2 full bathrooms; one of which is in the Master Suite. All units have their own washers/dryers. Each mid-rise has its own small exercise room and rentable storage rooms on each floor. There is covered parking for an additional monthly charge. Many of the 3-story townhomes have magnificent views of the Hudson River and New York City. All boast terraces on the upper two levels, fireplaces, walk-out family rooms and 1 or 2-car garages. These brick, Georgian style homes are reminiscent of luxury townhomes in elite areas and each home has 3 levels of living with an attached garage. The townhomes all have an outdoor patio on the ground level , a large terrace off the living room and a smaller terrace of the master bedroom on the third level. Additionally, each has an eat-in-kitchen and large family room on the lower level. Some of the east facing units that are almost directly on the Hudson River Walkway have amazing views of NYC and the Hudson River. Laundry rooms are on the bedroom level. There are several different floor plans with space up to 2,250 square feet. The New Jersey Transit 158 bus stops directly in front of the complex for the 25 minute ride to the Port Authority. Additionally, Grand Cove is a short walk of a few blocks to the Edgewater Ferry. Grand Cove has a 24-hour gatehouse, an outdoor swimming pool and community room. Each condominium building has a health club for its residents. Its landscaping along the Hudson River Walkway are some of the most impressive around.